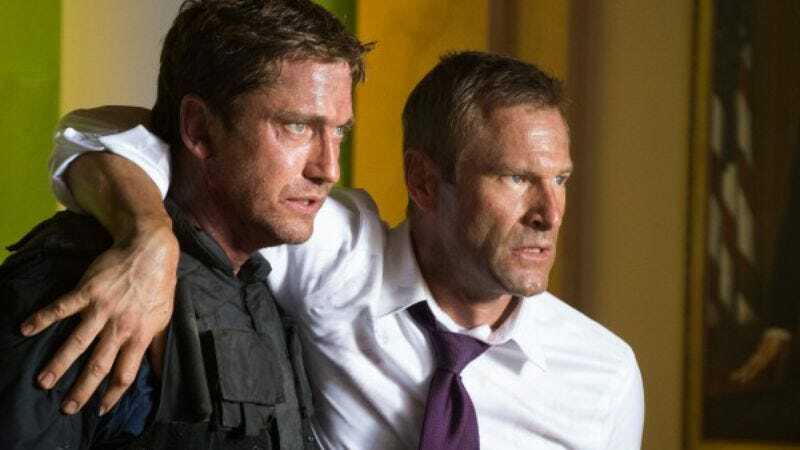 Easily regarded as one of the top two White House invasion movies of 2013, Olympus Has Fallen has now made up for its inability to best White House Down at the global box office by beating it to developing a surprise sequel—a strategy not unlike losing a footrace, then proposing an immediate, winner-take-all beer chugging contest. Producer Avi Lerner (already flush with the kind of overconfidence that leads you to pursue Meryl Streep for your ExpendaBelles spinoff) will double down on insisting that people prefer their Die Hard knockoffs played as humorlessly and Channing Tatum-free as possible, this time by moving the action to London. There the reunited ensemble of President Aaron Eckhart, Speaker of the House Morgan Freeman, and Secret Service agent Gerard Butler will attend the funeral of the British Prime Minister, only to be called upon to thwart another terrorist attack on the entire city of London, the White House of England. The sequel boasts the title of London Has Fallen—both because “London” is the secret American code word for London, and it also sort of sounds like that song about bridges children sing while imagining whom the President should punch in a movie next. Anyway, by escalating from a house to an entire city, Lerner has really thrown down the gauntlet on the producers of White House Down. If they want to compete again, they’re gonna need to have Channing Tatum defend at least an entire county or even state.